Condensing one year of triumph, hope, and encouragement into an easy-to-read article. 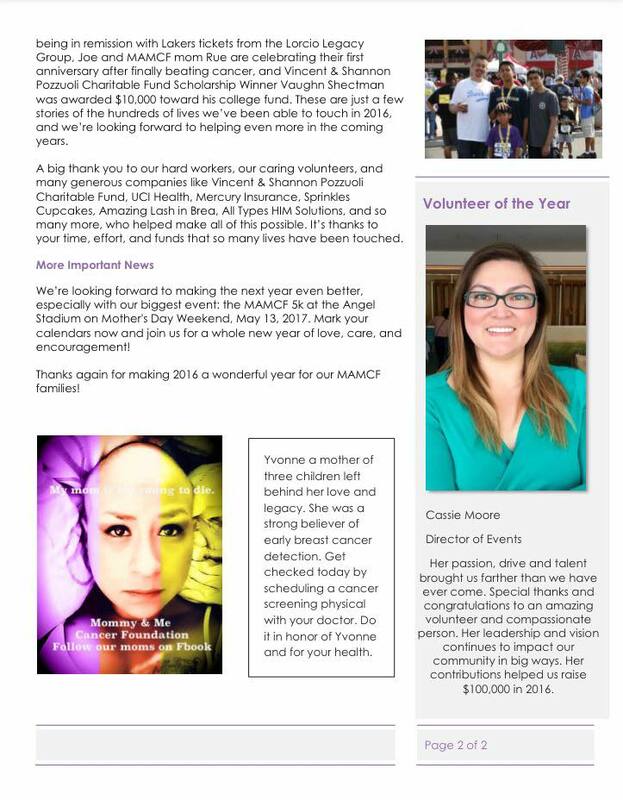 The Mommy and Me Cancer Foundation is a wonderful organization that supports young mothers battling with cancer. 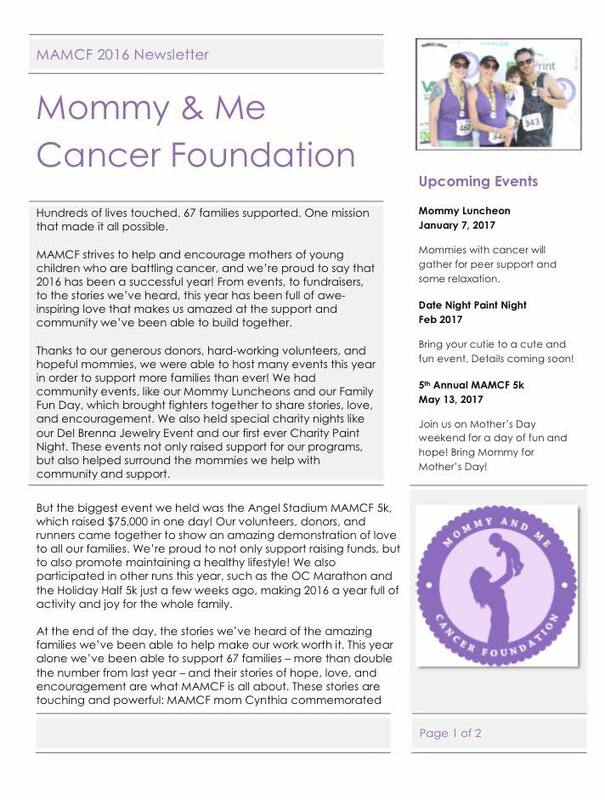 From fundraising events to specialized programs to social hours, the things that MAMCF does for these families is inspiring, and make me proud to be a volunteer writer. This end of the year summary was written in order to not only show how far the organization and its members have come, but also how far we’d like to go in the new year. Since the audience of the newsletter involved actual participants in these events and happenings, I used a personal, hopeful tone to demonstrate not only the power of the organization, but also the power of the individuals that it is made of. This newsletter article was both printed and released online for the information and enjoyment of the community.